Freckles are a condition of localized skin pigmentation which results in small spots appearing on skin which is exposed to sunrays. 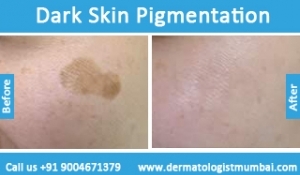 Mostly people with fair skin color or those who live in high altitudes, and who have a family history, develop this skin pigmentation condition. 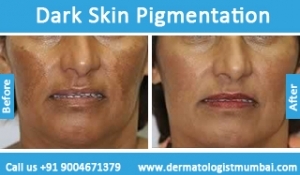 Melasma is a type of pigmentation which happens because of hormonal imbalance and is most commonly seen in pregnant women. Also known as chloasma, it includes a symmetrical and spread out darkening of skin. Liver spots or age spots is a skin pigmentation problem mostly seen in older people with poor performing liver. 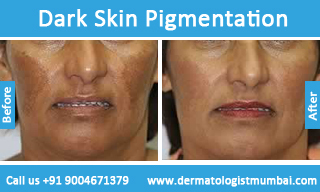 Tanning is the most common pigmentation problem which happens due to excessive sun exposure. Acanthosis nigricans is a condition of dark and velvet-like pigmentation on skin folds because of metabolic malfunctioning. Hormone imbalance: During pregnancy, menstruation or menopause, women undergo a lot of hormonal changes. These changes in female reproductive hormones can lead to hyperactivity of melanocytes, especially in the facial region. Metabolic disorder: Malfunctioning liver or insulin resistance in the body can also affect the body’s capacity to produce melanin. 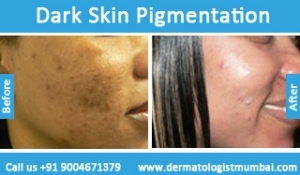 The resultant skin pigmentation is accompanied by disfigured condition of skin texture as well. Post inflammation: Skin pigmentation can also be a result of chronic acne problems and scarring of skin. Skin can either lose pigment and turn pale (hypopigmentation) or accumulate a lot of pigment and become much darker (hyperpigmentation). Over exposure to sun:Tanning and freckles are caused by over exposure to sun which causes the melanocytes in the skin to produce excessive melanin as a protective measure. 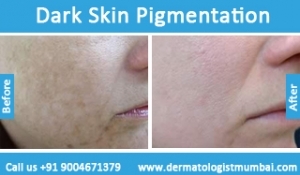 Laser toning: This treatment uses laser technology to slowly create a bleaching effect in the dermal and epidermal layer of the skin and reduce skin pigmentation. 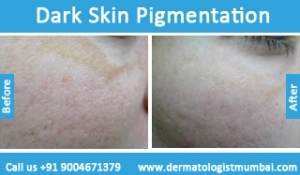 Chemical and fruit peels: Based on specific skin tone and skin type, Chemical peels and natural-fruit peels are also very popular for skin pigmentation cure. These treatments can be executed in a very short duration, hence allowing the patient to resume their daily routine almost immediately afterward. Microdermabrasion: This is a skin polishing procedure which utilized a focused and controlled use of microscopic crystals to exfoliate dead skin and correct epidermal pigmentation. 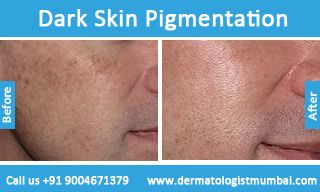 We offer an all comprehensive skin pigmentation treatment at competitive prices. As the treatment requires an in-depth understanding of the underlying causes, possible allergies and skin sensitivities as well your treatment preferences; we recommend you to call us at The Esthetic clinic for our latest prices.